Fuzzbox is our garage, surf and psyche night of whacked out freakbeat awesomeness to twist your tiny minds! Feral garage-punk from the wild North Yorkshire Moors, hopped up on adrenalin and amphetamines. Their sound is intense and immediate, so new yet so familiar and brimming with an urgency that explodes off the stage like the front lines of a war you didn’t even realise was being fought. Every note played through white knuckles, every word spat through gritted teeth. The beats blast like cannons while the guitars stampede like spooked stallions surging ever onward, snorting, snarling and tearing apart everything in their path. An intensely busy year which has seen the band tour the UK constantly with numerous festival appearances including visceral performances at Reading & Leeds Festival, Y-Not Festival, Humber Street Sesh, Twisterella Festival, Stockton Calling amongst others and a European tour taking in Belgium, France, Netherlands, Czech Republic, Germany, Slovakia, Slovenia, and Serbia. 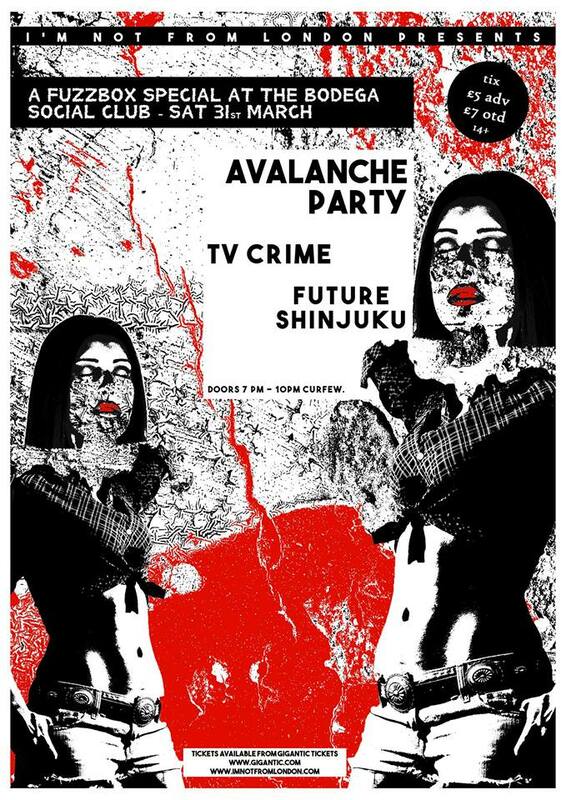 ‘TV Crime have the riffs, the bounce and the moves. The Nottingham four-piece bust out gnarly and melodic power punk like a defaulting candy machine spits gumballs. Songs like “Baby So Blue”, “Fake Tattoo” and “Wild One” are similar in style and delivery to the gritty power pop of Dublin’s The Number Ones and the Marked Men, Radioactivity and other bands associated with Texan punk king Mark Ryan. Perhaps TV Crime’s poppiest track is “Hooligans”, a song that sounds as good in a Nottinghamshire pub as it would a Texas dive bar or a house party anywhere. With DJ Beaumont Poldydactyl on the digital wheels of steel! Tickets can be purchased online from Gigantic Tickets.